Messy play is such a fun part of being a child. 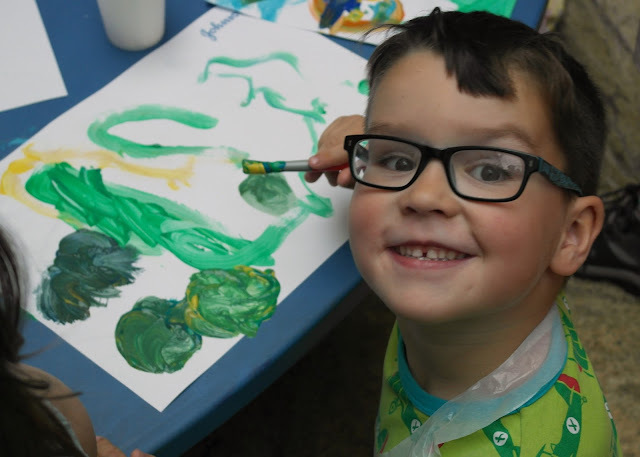 The opportunity to get your hands dirty, exploring different substances or making art is an essential element of childhood. We really try to embrace the mess with our three but having a quick and easy way to clean up afterwards is essential. We were invited to an event at the Trafford Centre today to celebrate the new JOHNSON’S® Baby Wipes, which now dispense one wipe at a time. The new dispensing system ensures one wipe per pull, cutting down on waste so the packs last longer. Another new feature is the rigid lid which allows for one-handed easy opening, making it easier for those on-the-go moments when your hands are full and all you need is one wipe. These newly designed compact packs fit perfectly into a changing bag or handbag! 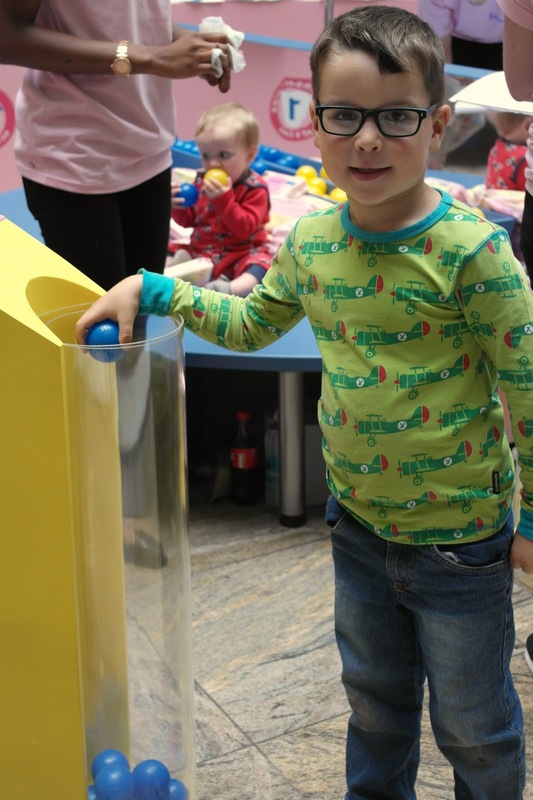 Bud, LM and Little E were invited to go and get creative with JOHNSON'S® in a special art zone at the shopping centre. 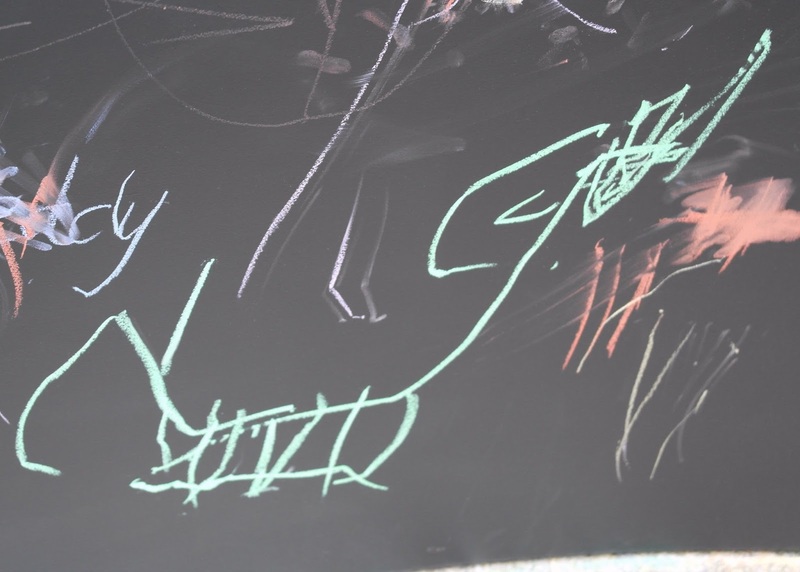 Bud and LM loved painting their pictures and chalking on the huge blackboard which made up part of the wall of the stand. Can you guess what he drew? 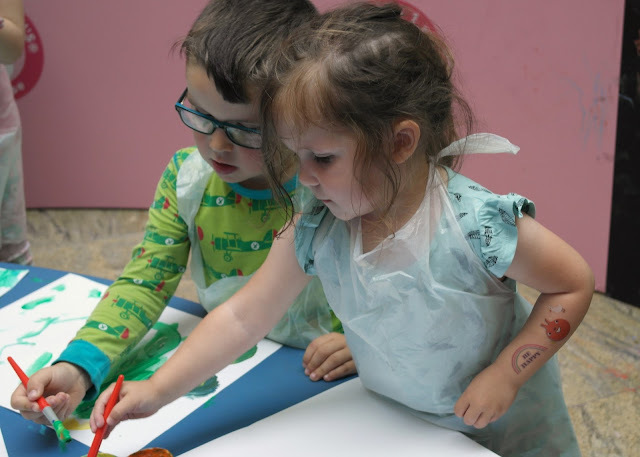 With so many children around with paintbrushes in hand it was essential that everyone could clean up easily and JOHNSON'S® had packs of their new wipes on standby to assist with this. I have a bit of a horror of paint on my hands, something that's unavoidable when the art supplies come out, so it was great to be able to open the one handed packs and wipe away the paint quickly! 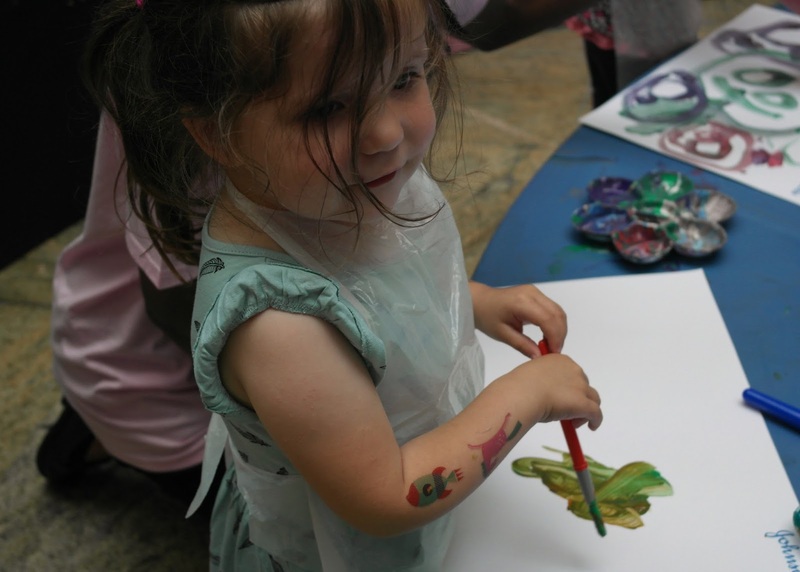 The wipes were very popular with all of the parents, with the added bonus of a pack to take home too. As we left we were invited to vote as to whether we thought the JOHNSON'S® baby wipes were a hit or a miss. Of course, we voted hit and Bud was pleased to post the blue ball into the tube to share our opinion. 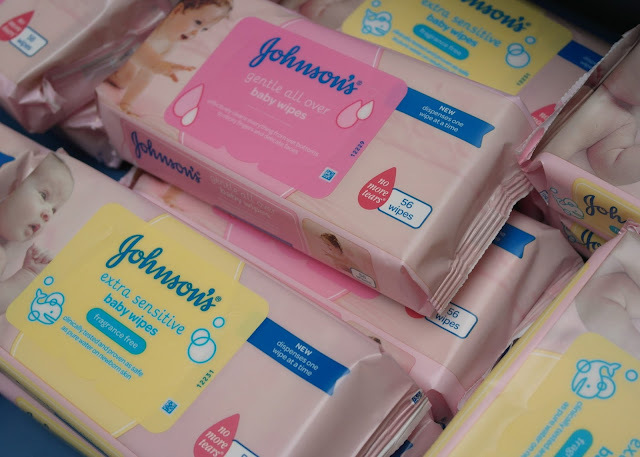 JOHNSON'S® baby wipes are available in two different varieties - Gentle All Over and Extra Sensitive - so there's a wipe for most children. We've used both today and they've both done their clean up job brilliantly, with no scrubbing or tearing, and have left all three children's skin smooth and clean. We had a lovely time with JOHNSON'S® today and would definitely recommend their wipes for your next messy play session!